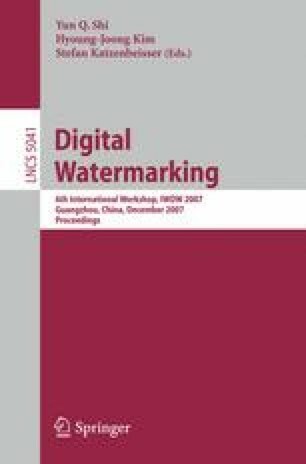 A digital authentication technique for hardcopy documents (e.g. contracts, official letters, ID cards etc.) is given. In order to secure the printed contents against forgery attacks the foreground contents are encoded in the superposed constant background greyscale image (CBGI) whereas in contents authentication process the contents are decoded from the scanned superposed background image and compared with scanned or printed contents. The distinguishing features of the novel technique are: l) high-quality superposed constant background image with multiple grey levels, 2) higher data encoding capacity enabling one-to-one contents integrity authentication rather than some selected features, and 3) underlying textual-contents independence, a challenge encountered from the languages with complex writing structures, furthermore, the above characteristics of the superposed data encoding technique allow its application: in the area of secret communication as a tool for military, original quality rather than higher quality fax transmission and digital document management. The superposed background image forming the encoded portion does not affect the aesthetic appearance of the document. The newly developed coding scheme in conjunction with a novel data-reading technique offers data encoding capacity 15 to 20 times higher than that one offered by market products.